At Erdoğan’s election in 2002, he appeared to be the latest in a line of populists elected to office. Initially, his success seemed the result of an ability as an Islamist to appease the concerns of the secular establishment. This was bolstered by his stated commitment to Turkey’s accession to the European Union. While in the 1990s Islamist reformers failed to pass institutional reforms aimed at decreasing military control of Turkish politics, the military allowed Erdoğan the space to pursue institutional reform that would enhance Turkey’s chances of becoming a member of the European Union. This attempt by the Justice and Development Party (AKP) to reimagine Turkish democracy for the 21st century took the form of a general push for constitutional reform. International criticism which held the 1982 Constitution as undemocratic reflected Western discomfort with such a prominent role for the military and judges in political life; the Constitutional Court’s ability to shut down any party regardless of public support was particularly troubling to Europe. The European Union demanded the Turkish Constitution be reconfigured, at a time when the very structure of Turkish politics began to threaten the AKP’s survival. In 2007, the AKP was made acutely aware of this challenge when its pick for President of the Turkish Republic, Abdullah Gul, was all but vetoed by the Constitutional Court and MPs representing the Republican People’s Party (CHP). Though the role of President was, at the time, largely ceremonial in Turkey, the Constitutional Court’s move to block Gul signaled the establishment’s anxiety over the AKP’s ascendancy. The 2007 incident lead Erdoğan to advocate for a referendum on popularly electing the President, as opposed to the selection process laid out in the constitution. That constitutional referendum passed in 2007, setting the stage for Erdoğan’s landslide election as president in 2014. The structure of the 1982 constitution remained an existential threat to the AKP’s political survival. Despite continued electoral success, a cloture case was brought against the AKP in 2008 for offending the Turkish Constitution’s commitment to secularism. A cloture case is one in which a political party is charged with violating the constitution, leading the Constitutional Court to vote on whether or not the party should be disbanded. Though the majority of the Turkish Constitutional Court voted to close the AKP, necessitating the formation of a new government, they fell one vote short of the supermajority needed to initiate such a dramatic action. The reformation of Turkey’s constitutional system came to a head in 2010, when Erdoğan called for increasing the powers accrued to the President, and reformulated the judicial selection process. 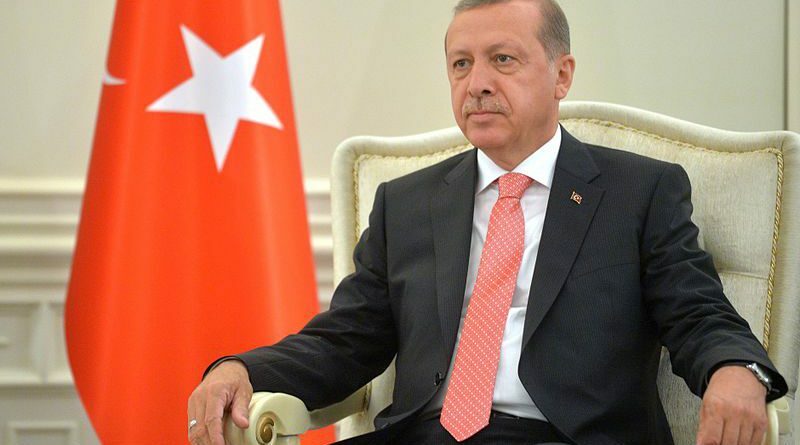 The 2010 reform package was the first time that Erdoğan directly advocated for the strong presidential system, which has become an indispensable part of his political program. These reforms were a mixed electoral success for the AKP. On the one hand, they did change the nature of the judicial reform so that the military’s influence on the judiciary as weakened. On the other hand, most of the reforms that would transform the Turkish government into a Presidential system were weakened. Though the 2011 elections returned the AKP to power, their weak showing made implied their influence piqued. The 2013 Gezi Park protests was a political turning point for Erdoğan. Though he ascended to the presidency in 2014, a decline in electoral support for the AKP in the 2015 election marked increasing instability in Turkish politics. A rash of bombings through 2015 and 2016 imbued Turkish politics with a sense of crisis, prompting Erdoğan to openly talk about the need for a stronger Presidency so he could address the situation. This culminated in the July 2016 coup attempt that saw 239 people killed during the Turkish military’s bid to seize power. Erdoğan, who had been abroad, immediately flew back to the country to assert his continued authority and declared a state of emergency. Much of the next year would be spent ratifying the most radical set of amendments to the Turkish Constitution that had been discussed since the 1980 coup. Erdoğan responded to the 2016 coup by accelerating two trends widely regarded as authoritarian in nature. He declared a state of emergency, which gave him wide powers to act unilaterally – using the powers granted him by the state of emergency, Erdoğan dismissed tens of thousands of civil servants in key positions of influence, including law enforcement personnel, prosecutors, and judges. Like the military, these sectors had long been bastions of secular control over politically successful Islamists, and they posed a threat to Erdoğan’s political survival. Apart from the removals of supposed dissidents from the government, Erdoğan used the political strength gained from surviving the coup to call for a wider reformation of Turkish politics which would prioritize his personal security over institutional sanctity. Erdoğan finally succeeded where his past attempts at constitutional reform had failed. The political support of the Nationalist Movement Party (MHP) was essential in passing the bill that scheduled the referendum. Though the secularist CHP and leftist, largely Kurdish Peoples’ Democratic Party (HDP) both continued to oppose any kind of presidential system, the MHP’s agreement in November 2016 catalyzed a decisive shift in Turkish politics. Much has been made about how this nationalist-Islamist coalition facilitated Erdoğan’s seizure of power as a result of personality-driven authoritarianism. The bill’s passage called for a referendum and offered Erdoğan a path to a popularly elected Turkish presidential system. That bill capped off a year which saw a “Yes” win in the Brexit vote, and the stunning election of Donald Trump as U.S. President. The campaign that lead up to the April 20 Turkish constitutional referendum was focused around deep public fissures in Turkey’s national identity and Erdoğan’s personal character. More so than in other elections, it became a referendum on Erdoğan rather than the AKP writ large, or even the merits of the election itself. The referendum vote was incredibly close, and allegations of voter impropriety undermined its legitimacy. However, because Erdoğan and supporters of the referendum were victorious in April 2017, extraordinary political control over institutions that should have been considered “above politics” was normalized. As 2017 and 2018 progressed, purges of civil servants continued, but attention turned to military operations in Afrin. Though there still ample criticism of Erdoğan, Turkish voters seem to have accepted political control over institutions that once were independent.